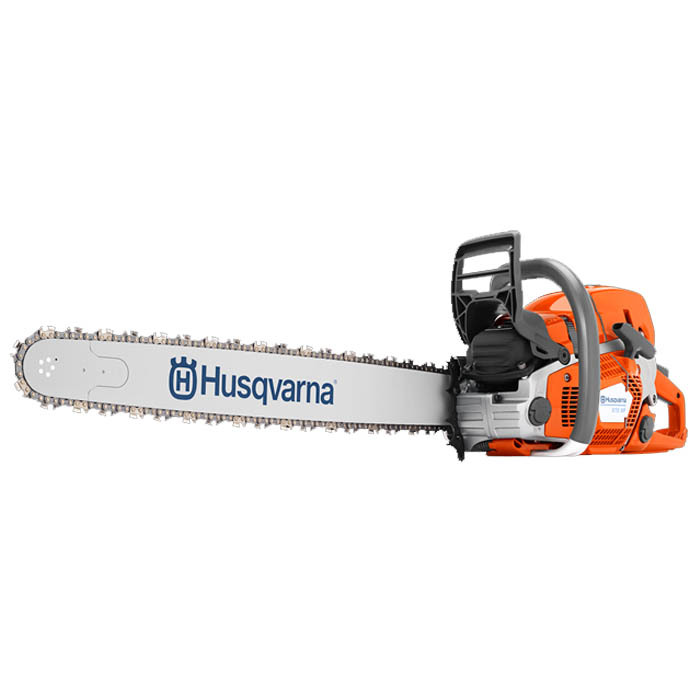 Introducing the brand new Husqvarna 572XP 20" Chainsaw! This eagerly awaited saw weighs in at just 6.6kg with a powerful 4.3kW, 70.6cc engine, the 572XP® has a better power-to-weight ratio than any other Husqvarna saw with similar displacement, and 12% higher cutting capacity than previous equivalent models. Excellent cooling and heavy-duty filtration mean great endurance and performance, while smart design and easy operation keep productivity high even with long guide bars. With AutoTune™, Air Injection™ and low vibration, it’s built to deliver all day long. Higher cutting capacity - New engine design offers a wide usable RPM range for peak performance even under heavy loads. 12% higher cutting capacity (compared to previous models in the same cc-range) makes the saw ideal for productive operation – even when using long guide bars. Excellent cooling capacity for a longer engine life - Our new cooling system is optimised in every detail to give you a reliable chainsaw for any situation. Equipped with state-of-the-art filtration system - 572 XP® carries – as standard – a large surface heavy duty filter for longer and better filtration. The filter has a larger filtration area compared to previous generation. Providing a chainsaw with a healthier engine optimised for long working hours. 10 times quicker air/fuel mix adjustment - AutoTune™ ensures a correctly tuned engine setting and optimised engine performance in all conditions. 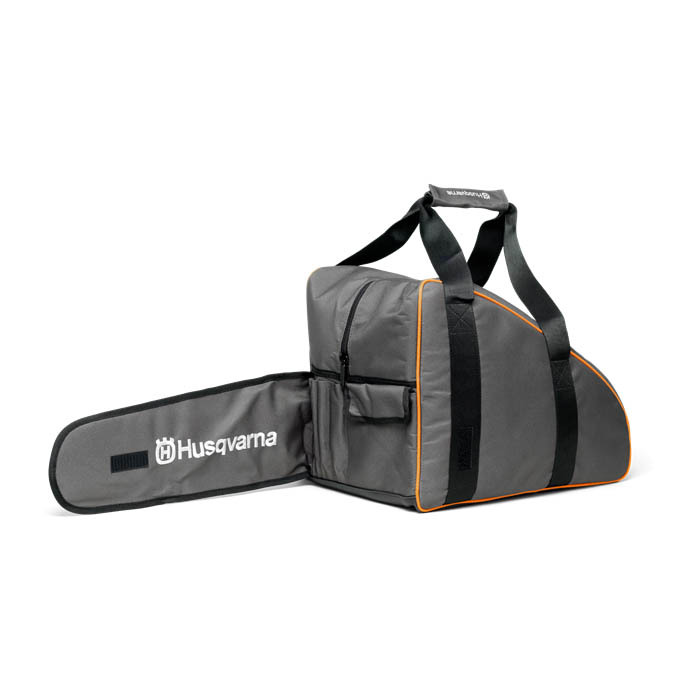 Low Vibrations - Husqvarna’s anti vibration system efficiently separates your hands from the vibrations generated by the engine and the cutting equipment. This is to protect your body but also to reduce the fatigue in your arms and hands and in the end of the day contribute to make your workday more productive. Soft Cut-Out System - The innovative system for engine control is designed for providing a long engine life. The system monitors the engine and assures that the engine always is protected from over-revving. Rubber handle inlay for safer grip - The rubber handle provides a firm grip, while still allowing you flexibility while you work. Flip up tank caps - Easy to open and secure firmly, even when wearing thick winter gloves. Better manoeuvrability gives full control - The front handle bar position is close to the center of gravity, giving you better cutting control. Better chip ejection avoids clogging - The clutch cover is designed to optimise rapid, safe saw chip ejection. 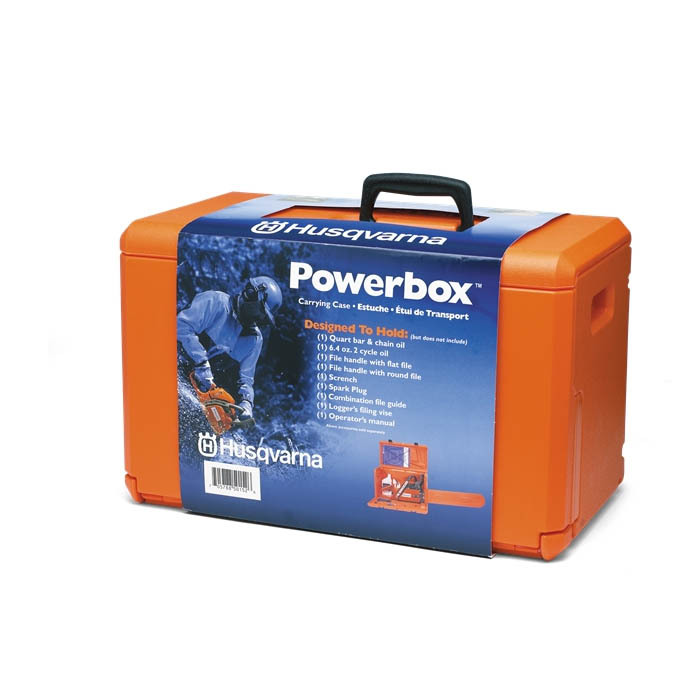 Prevents clogging, even when cutting long fibre wood. Felling sight to last a lifetime - Perfect sight is critical when felling – so we made one that will outlast the chainsaw itself. Air injection filters 98% of incoming dust - Give you full working days with maintained performance and less wear on the engine.